In 2016, the president-elect of the United States openly called for segregation and deportation based on race and religion. Meanwhile, inequalities in education, housing, health care, and the job market continue to prevail, while increased insecurity and fear have led to an epidemic of scapegoating and harassment of people of color. Yet, recent polls show that only thirty-one percent of white people in the United States believe racism is a major societal problem; at the same time, resistance is strong, as highlighted by indigenous struggles for land and sovereignty and the Movement for Black Lives. Completely revised and updated, this fourth edition of Uprooting Racism offers a framework around neoliberalism and interpersonal, institutional, and cultural racism, along with stories of resistance and white solidarity. 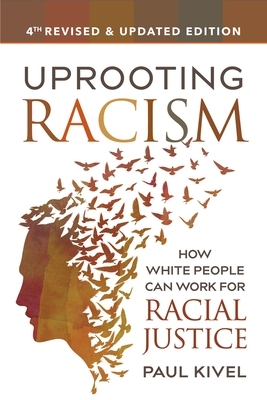 It provides practical tools and advice on how white people can work as allies for racial justice, engaging the reader through questions, exercises, and suggestions for action, and includes a wealth of information about specific cultural groups such as Muslims, people with mixed heritage, Native Americans, Jews, recent immigrants, Asian Americans, and Latino/as. Paul Kivel: has been a social justice activist, a nationally and internationally recognized anti-racism educator and an innovative leader in violence prevention for over 40 years. He is an award-winning author and an accomplished trainer and speaker, and has conducted thousands of talks, trainings, and workshops on diversity, men's issues, the challenges of youth, and the impact of class and power on daily life.